I was watching the 1993 replay of the Hawaii Ironman triathlon on the trainer the other day, a portion of which was devoted to “Chuckie V,” the 1990s bad boy of triathlon who was famous for his Mohawk and for actually getting banned from Ironman Hawaii for his controversial race antics. How about you? Are you constantly hungry? Do you finish one meal and immediately begin planning the next one? And is being hungry all the time like this bad? Does it mean something is wrong with you or your physiology? When you eat, the fat cells in your body release a hormone called leptin. Increased levels of leptin reduce your desire and motivation to continue eating or eat more. Within a few hours after you’ve finished eating, your leptin levels drop, and you eventually get hungry again. If leptin is acting correctly, it triggers the satiety signals in a part of your brain called your hypothalamus, and this makes you stop feeling hungry. One reason some people have a hard time controlling their appetite or stopping after they’ve eaten enough is that they’ve become leptin resistant. Chronic hyperleptinemia (high leptin levels) can be brought on by large intake of calories over a long period of time—for example, eating too much when you were in college for four years. Compounding things, chronically high leptin levels are accompanied by low levels of ghrelin—a hunger-inducing hormone that is released into the stomach after leptin levels had dropped back down. If your leptin levels are chronically high, it makes your hypothalamus hyper-sensitive to grehlin, and even small amounts of the hunger hormone can make you very hungry, very fast. Even non-overeaters can experience a leptin-grehlin imbalance. Lack of sleep, stress or eating “hyper-palatable foods,” such as processed or packaged foods designed to be addictive (potato chips, anyone? )—can throw off your hormonal balance. Expecting to be hungry. This 1998 study showed that the memory of what you’ve eaten actually accounts for a significant portion of your hunger, and being full is partially a matter of recalling whether you’ve eaten a meal appropriate for the occasion. For the same reason that you might be reluctant to eat dinner foods like spaghetti or steak for breakfast, you may simply feel full after meals because you expect to be full, and you may simply get hungry because you expect to get hungry (which may be why frequent snackers have such a hard time switching to eating 3 times a day). Your weight has changed significantly. There is a school of thought called “set point theory” that suggests that your body has a specific weight range in which it is comfortable, and this is usually somewhere around 10% of your body weight. So if you weight 200 pounds, you have a 20-pound range and can generally avoid any intense hunger pangs if you’re at 190 pounds or above. But whether due to genetics or an internal “help-I’m-starving” signal, when you venture too far outside your “set point,” your body seeks homeostasis and begins adjusting your metabolism to maintain weight. And part of this adjustment can include craving food. You simply burn lots of calories. Let’s face it: whether due to a naturally high metabolism (I’ve personally been tested and I burn 2500 calories a day just lying on the ground), and/or due to extremely high amounts of activity (i.e. : you’re an Ironman triathlete like “Chuckie V”), your body just needs more nutrients and more calories to keep from self-cannibalization. You have a dopamine or serotonin deficiency. Chronic use of anti-depressants or “selective serotonin re-uptake inhibitors” (SSRI’s), in addition to a very low fat diet, inadequate protein intake or a high-stress lifestyle, can all lead to disruptions in brain neurotransmitters that help to control cravings or help you be more satisfied or happy with the foods that you do eat. You’re an Animal. Due to our inherent survival instincts, the simple sight or smell of food can make us hungry, even if there’s no physiological need to eat. Hungry for more? 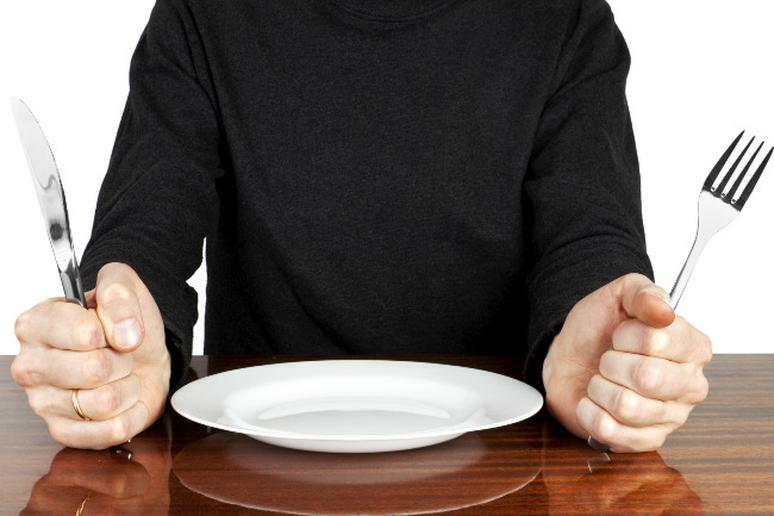 Read Part Two of this post: "Three Tips for Controlling Hunger."